Connecting Patients – The Tinnitus Talk online patient community, maintained by Tinnitus Hub, is designed to provide a space for patients to come together and share support, advice and information. Tinnitus Hub aims to continue to provide this service, and to continuously grow and improve the forum. 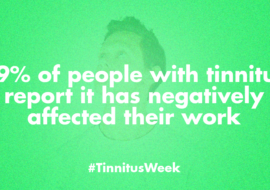 Tinnitus Talk should be a safe and helpful space for people from all over the world, from all walks of life. Educating Patients and Practitioners – Tinnitus Hub aims to provide objective, reliable information to tinnitus patients seeking help online. 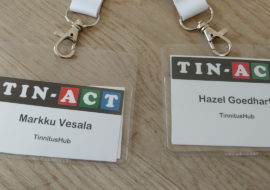 To this end, Tinnitus Hub works with researchers, practitioners, other tinnitus organisations, and volunteer professionals from different fields to produce high quality content and information for patients on subjects that include: tinnitus treatment, tinnitus management, and tinnitus research. Informing Patients: Sharing information on ongoing research efforts with patients. 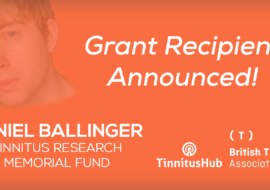 Working Together – Tinnitus Hub collaborates with other tinnitus organisations and charities to promote public awareness and augment their work to improve the lives of patients and further research into a cure.